90 x 34-1/2 x 16. 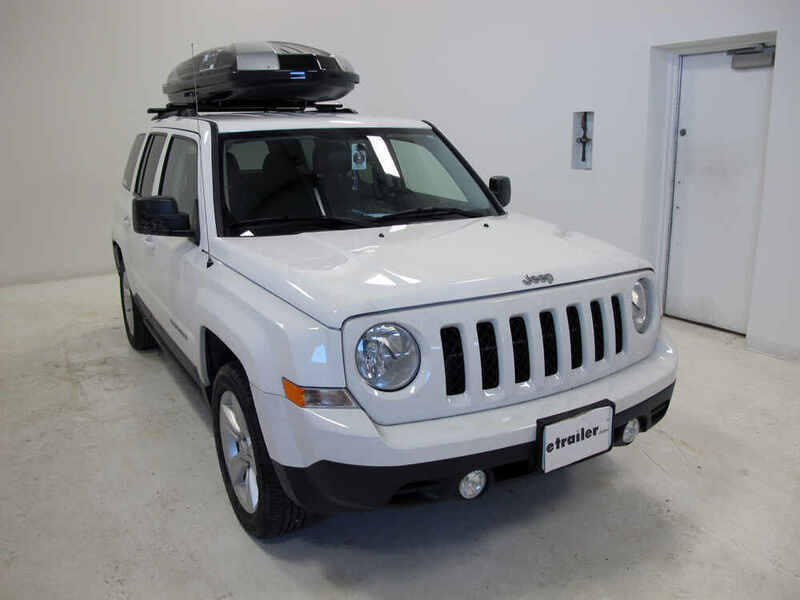 This premium, ultra-aerodynamic cargo box with an integrated light holds gear for up to 5 people. Built-in AcuTight clamps let you mount the low-profile box to your roof rack in 5 minutes, and the locking lid opens from both sides. 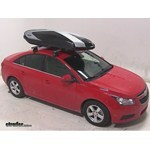 Lowest Prices for the best roof box from Thule. 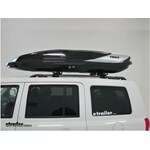 Thule Hyper XL Rooftop Cargo Box - 17 cu ft - Two-Tone Black and Silver part number TH612 can be ordered online at etrailer.com or call 800-298-8924 for expert service. Crossbar spread: 23-5/8" - 35-1/2"
Please note: Due to the size of this item, it ships via truck freight. 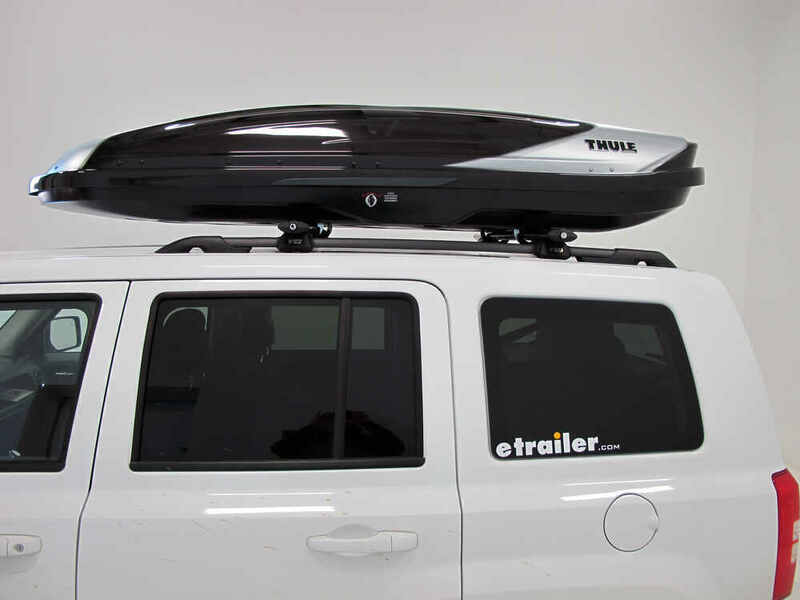 The luxurious Thule Hyper XL cargo box is the perfect way to carry outdoor equipment such as skis and snowboards, as well as large luggage or baby gear for 3 - 5 people on your roof rack crossbars. The long, spacious box provides enclosed storage for your gear on long road trips or when traveling to sporting events. 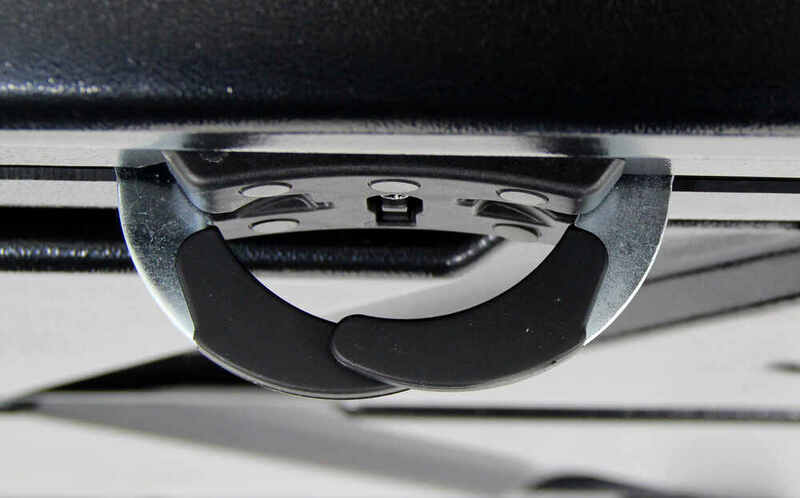 Mounting the Hyper XL is a 5-minute operation thanks to the pre-installed AcuTight hardware. Just throw the box on your roof, center the clamps over your crossbars, and turn the hand knobs located inside the box to tighten them down. The knobs will click once they are appropriately tightened, ensuring that the box is secure every time you mount it on your roof. These hand knobs are mounted in tracks so that they can be repositioned for vehicles with shorter roofs. Simply slide the hand knobs to the desired position and give them a spin. The AcuTight assemblies also include anchor points for securing your cargo. Just loop the included cargo straps through the anchor points and pull the straps tight to secure your gear. The Hyper XL is designed to be extremely aerodynamic with Thule's patented, dimpled AeroNose and Hi-Flow Base. 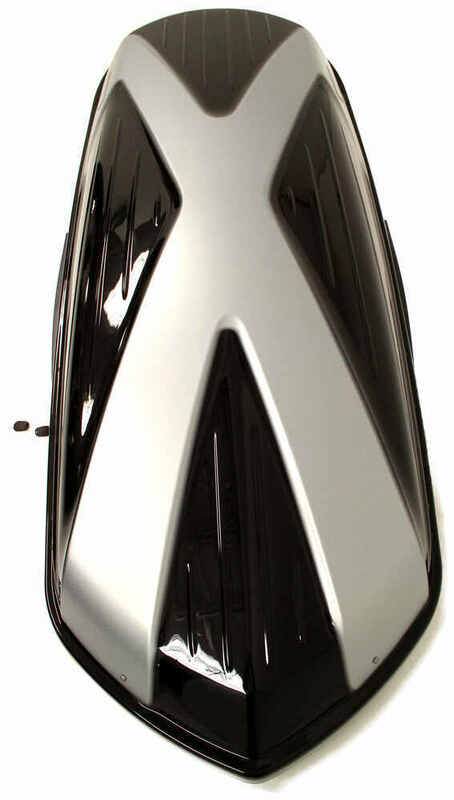 The pointed nose reduces drag by up to 35 percent when compared with boxes that have standard shapes, and the dimples reduce drag and wind noise 10 percent more than boxes without dimples. 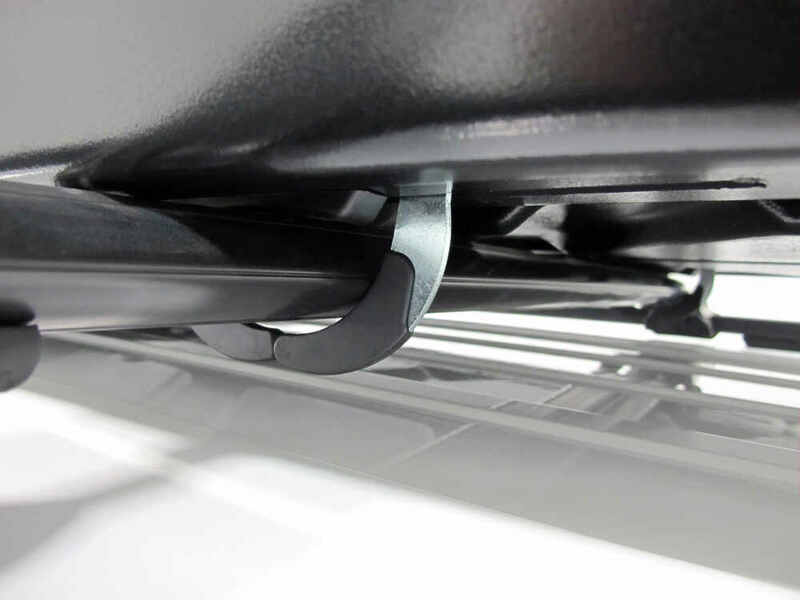 The flat base has channels that let air pass easily between your roof and the box, further reducing drag while also maintaining your vehicle's fuel economy. 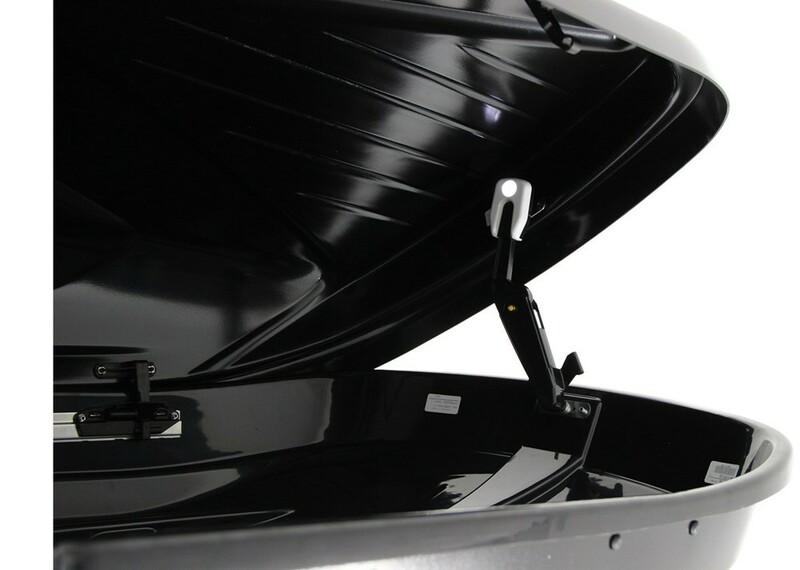 The Hyper XL features a dual-side-opening lid so you can access and load your gear from either side of your vehicle. The rugged lid is reinforced to ensure that it remains easy to open and close over years of use. 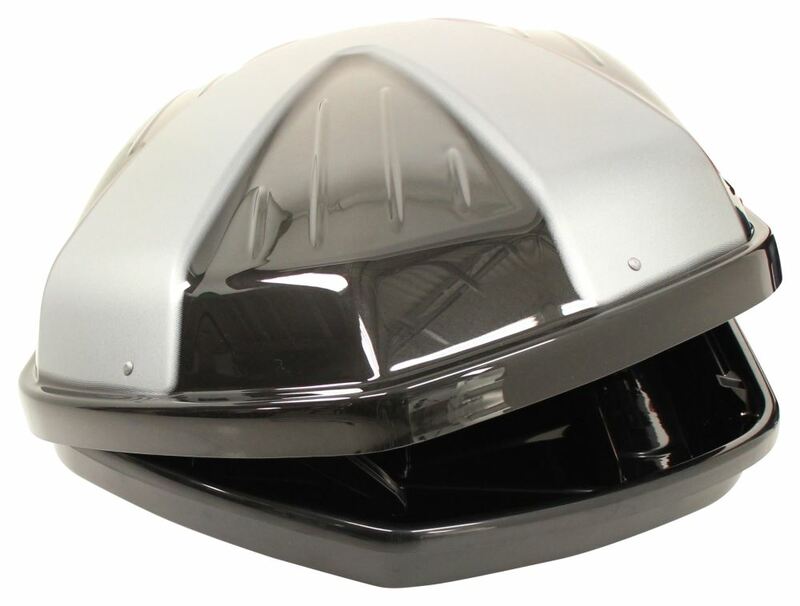 The lid is arched to match the roofline of your vehicle, and 2 built-in straps make it easy to lift and close the lid. 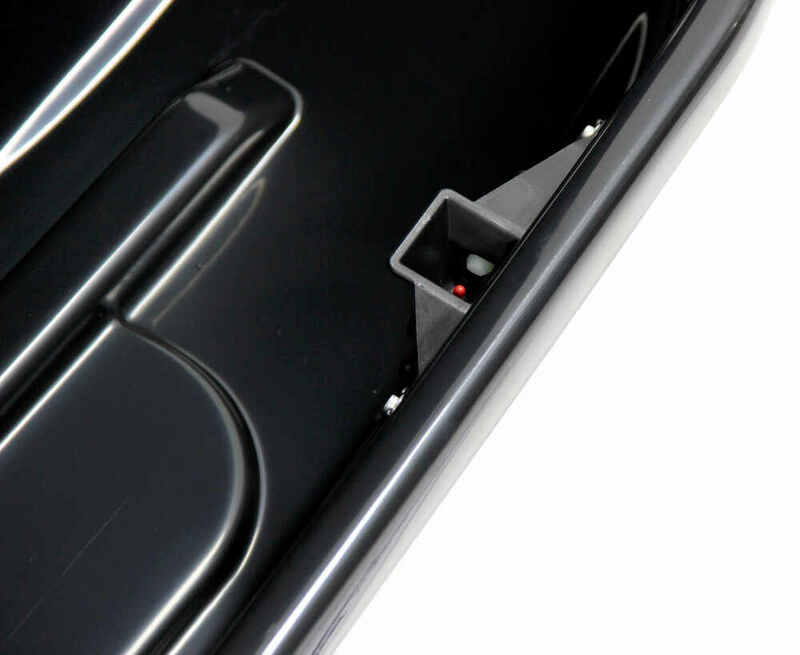 This premium cargo box offers an integrated light inside so it's easier to load and unload cargo at night. The light turns on automatically when the box is opened and shuts off when the box is closed, and the single LED is strong enough to illuminate the entire length of the box. 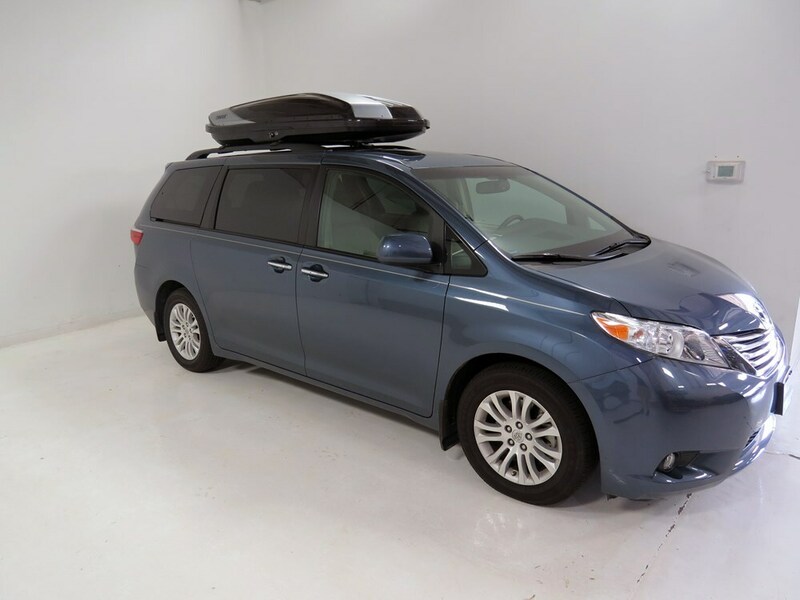 The cargo box has oversize SecureLocks on each side. These specially designed locks prevent you from removing the keys if the box is not properly closed and locked. This eliminates the possibility of the box coming open as you travel down the road. And the locks include Thule One-Key-System cores so you can swap them out to make all your Thule accessories keyed alike. The Hyper XL features Thule's patented rear-angled base. 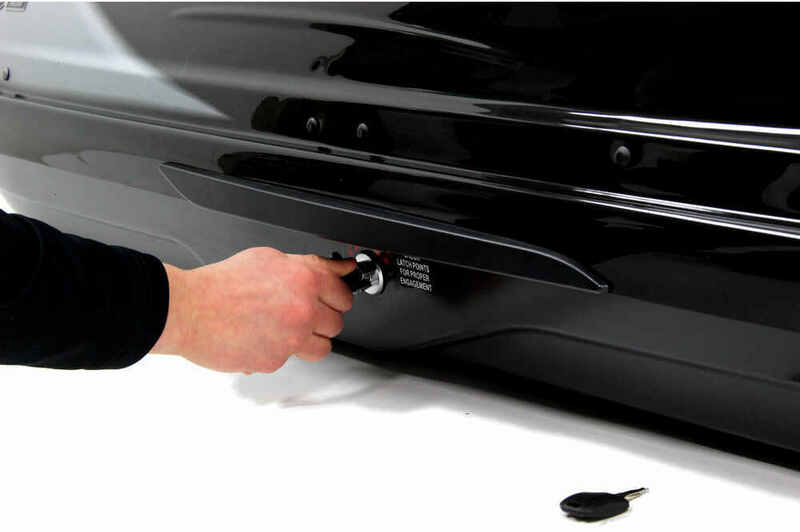 The undercut back of the box is designed specifically to prevent interference with your vehicle's trunk or hatch door. 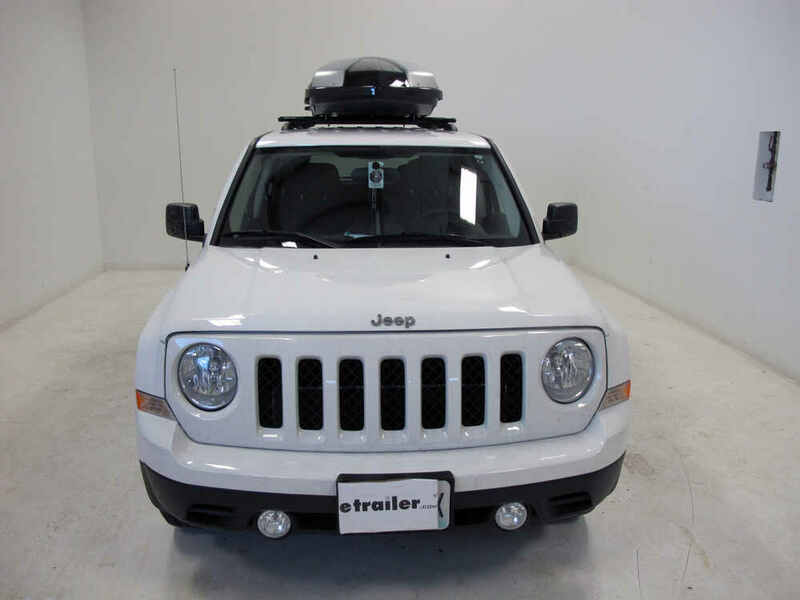 This means that you can load and unload your cargo area without having to remove the box from your roof. 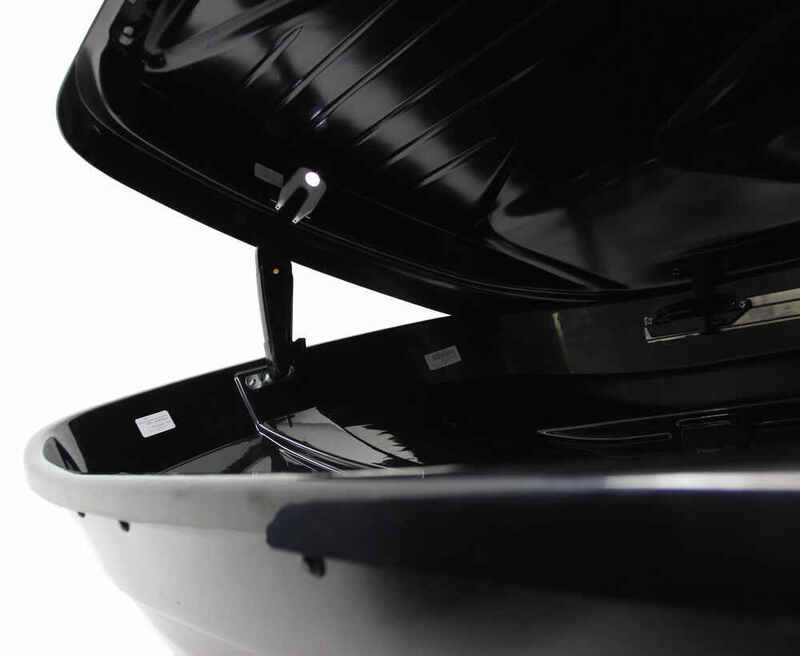 This cargo box lid and base are constructed of reinforced, ultra-thick ABS plastic that resists impact, weather, and harsh UV rays. The additional internal reinforcements offer a more stable, quiet ride than standard boxes. There is also an anti-torsion rib built into the lid that helps the box to resist lifting and pulling forces that could cause it to contort over time. 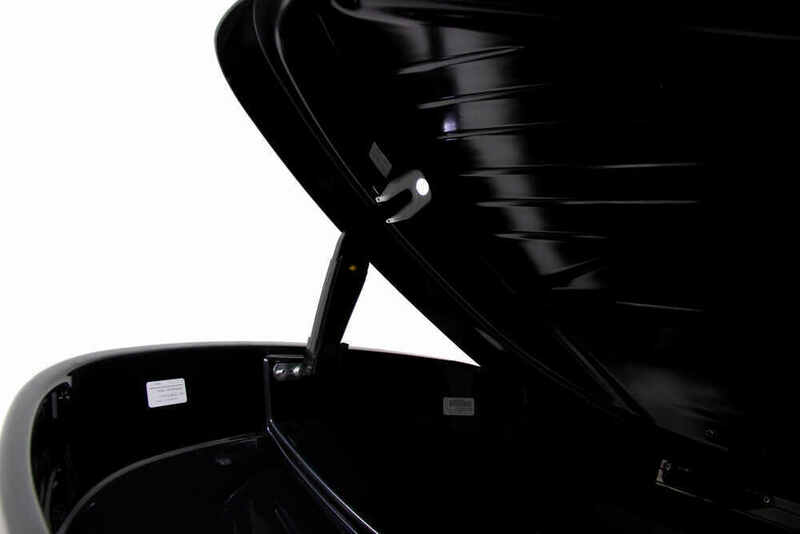 The rib ensures that the lid holds its shape so that it's always easy to open and close. 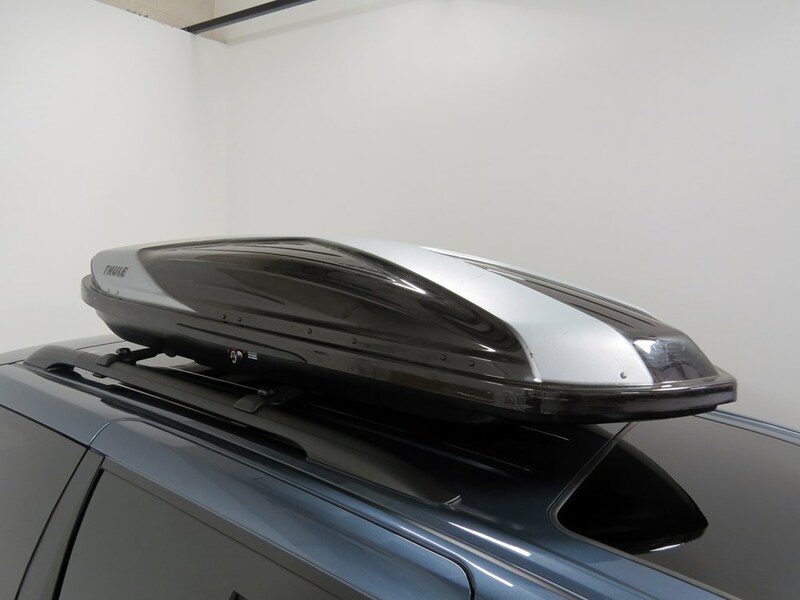 And the two-tone, high-gloss automotive finish and "X" design add a touch of class when the box is mounted on your roof. 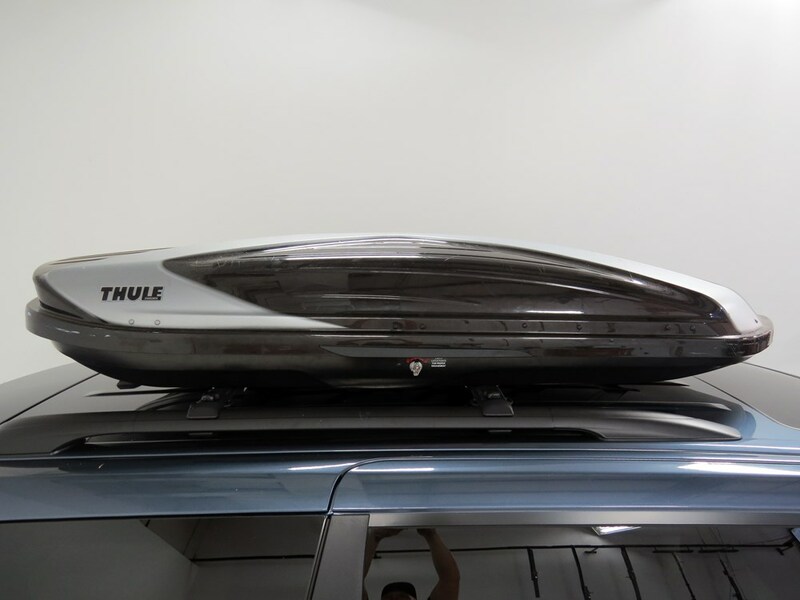 Today were going to be taking a look at the Thule Hyper XL Rooftop Cargo Box with 17 cubic feet of space, in two-tone black and silver, part number TH612. 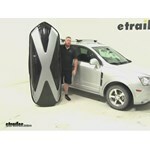 The Thule Hyper XL has a carrying capacity of 17 cubic feet, with a weight capacity of 110 pounds. Its made of a rugged 5-layer ABS plastic with an acrylic cap that resists impacts, weather, and harsh UV rays. The Hi-Flow base of the Thule Hyper allows air to pass between the vehicle and the box, reducing drag and maintaining fuel economy. 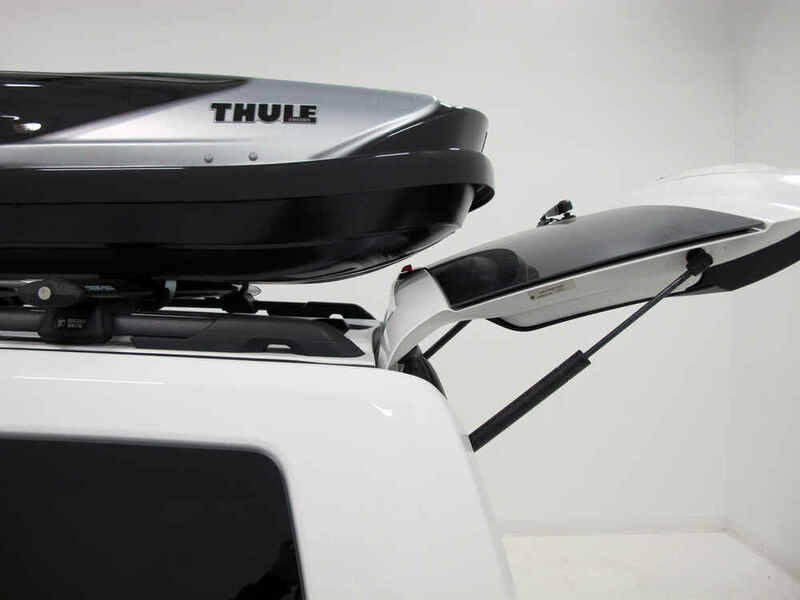 Another unique feature of the Thule Hyper XL, is that it features a dual-side-opening lid. This is going to allow you to easily load and unload your cargo from either side. 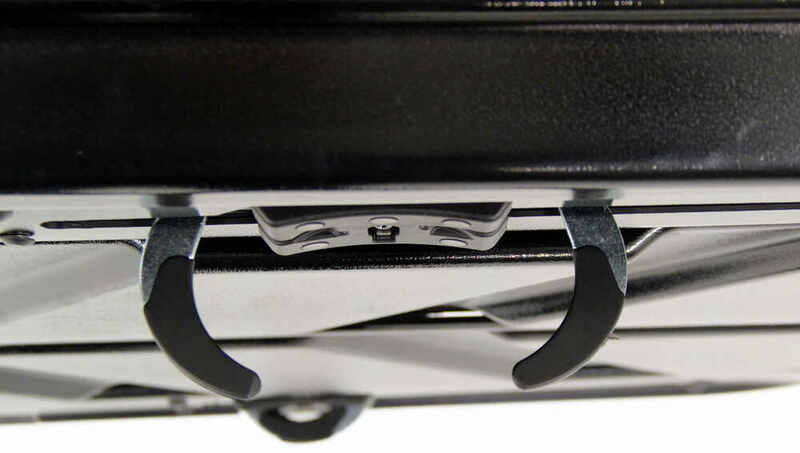 Also featured on the AcuTight mounting hardware, are these little slots installed onto the clamps. What these slots are designed to do, is using the two included straps, you can feed these straps through these little grooves, and then bring those straps around your gear. If you have any skis or snowboards, or maybe any delicate items that might be moving around when youre driving down the road, these straps are going to help secure all that gear, so that nothing gets damaged or broken. The Thule Hyper features the Thule One-Key System lock cores. Since the lid opens from both sides of the box, there is a lock core on each side of the box. The key can only be removed in the locked position, and the key can only be in the locked position if all of the latches are engaged correctly. Another neat thing about the Thule Hyper, is that when you open up the lid on the box, you can see in the back corner is this nice, bright, LED light. This LED light is going to make it much easier when youre loading your gear, or unloading your gear, when its dark outside. The LED light turns on when the lid is open, and then turns off when the lid is closed. 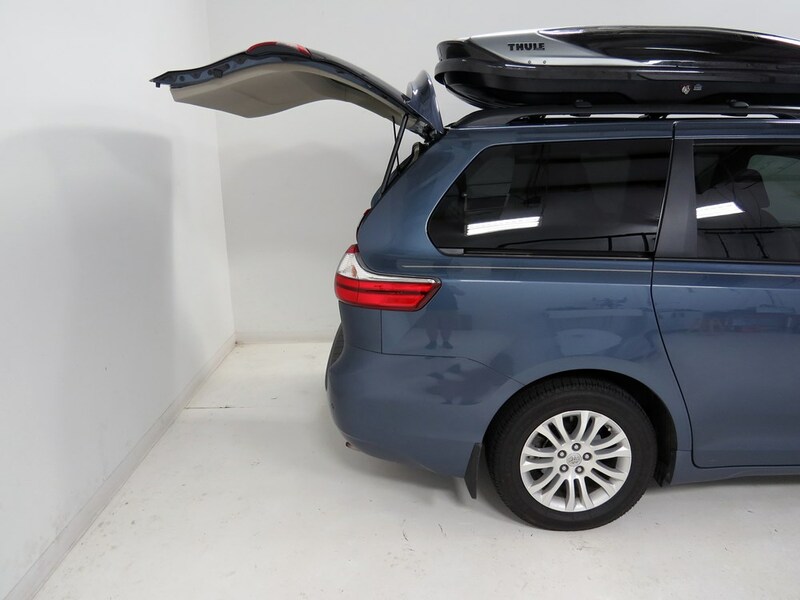 Another neat thing about the Thule Hyper XL is that the patented rear-angled base at the back of the cargo box, which is specially designed to give you clearance when youre opening your rear hatch. 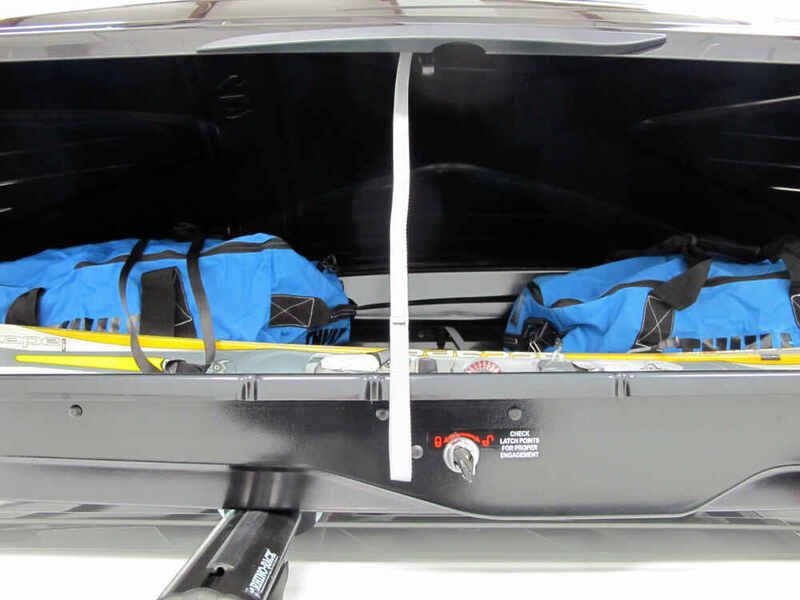 For taller vehicles, or higher SUVs, theres this included strap thats going to help you be able to pull-down the lid if you cant actually reach it, or if you dont have a stool or ladder. This strap is in easy reach. You can just simply pull-down and close the lid. Well go ahead and show you how to install it. Well just simply place the box up onto our roof rack crossbars. You want to be careful because directly out of the box, the claws are all the way tightened. You can loosen them up. Im going to keep them closed, so if I get caught or snagged on a crossbar, then I dont bend the clamp. Well simply unlock the box by turning the key, and well open the lid. I can see we're on the inside of the box, and there are four knobs, two knobs on each side. When you pull the box directly out of the storage box, you can see the clamps are actually tightened all the way, so were going to need to loosen up the knobs, which are on the inside of the box, which is going to open up those claws. Loosen those up, and then you can see, now the claws are open. Well just go ahead and close the lid, and then well move to the other side of the vehicle, and then just repeat the same process. Now that we have all four clamps loosened up, Im going to close the lid. Thats going to give us a little more stability when were positioning the clamps around our crossbars. Im just going to go ahead and lift up the box, and just position these clamps on those slots on the bottom of the box, that way we can position the clamps to fit over the crossbars. Now that we have the clamps positioned over the bars, Im going to kind of come back at the rear of the vehicle and push it forward. Im going to try to be able to get access to the rear hatch. Looks like Im going to have enough space. Now that I know how far forward it needs to be, it just comes down to do I want to install it on the passenger side of the vehicle, or the drivers side of the vehicle	The majority of people are going to install it on the passenger side, because the passenger side is the curbside, where when you pull up to the street, youll be able to load and unload your gear safely from the sidewalk, or off of the street. Go ahead and open up the box and tighten down the clamps. With those two clamps tight, well move to the other side of the vehicle and tighten down the two remaining clamps. You can see the clamps, which go around the crossbar, then on the inside of the box, are the knobs. They all come preassembled, already installed on the box. When you turn the knobs to tighten down the clamps up against the bars, the knobs will actually make that ratcheting noise, and that indicates that the clamp has been fully tightened, so theres never any question about if youve tightened it enough, or if its too loose. That way youre 100% secure that the box is fully secured to your roof rack. Well go ahead and load up some gear. Now that we have all of our gear loaded up, well go ahead and take it out for a test drive to show you how it looks. 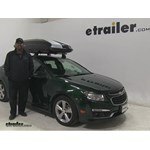 That will complete todays review of the Thule Hyper XL Rooftop Cargo Box, part number TH612. . 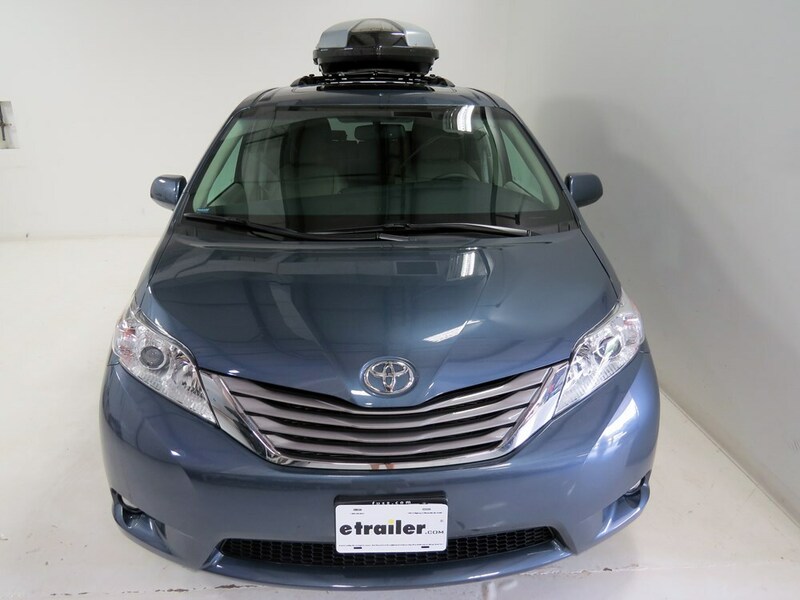 Premium Roof Box Option for a 2018 Toyota Highlander with Factory Roof Racks. Since the Thule Hyper XL part # TH612 is only 16 inches tall the smaller Rhino-Rack Storage Rack # RRRWHS would work just fine. The inside of the hook portion of the rack stick out 20-1/2 inches which would be plenty to allow the cargo box to angle once set in the rack. The nicest box available would be the Thule Hyper XL part # TH612. This box has an interior light, an automotive 2-tone paint job, and can open from either side. 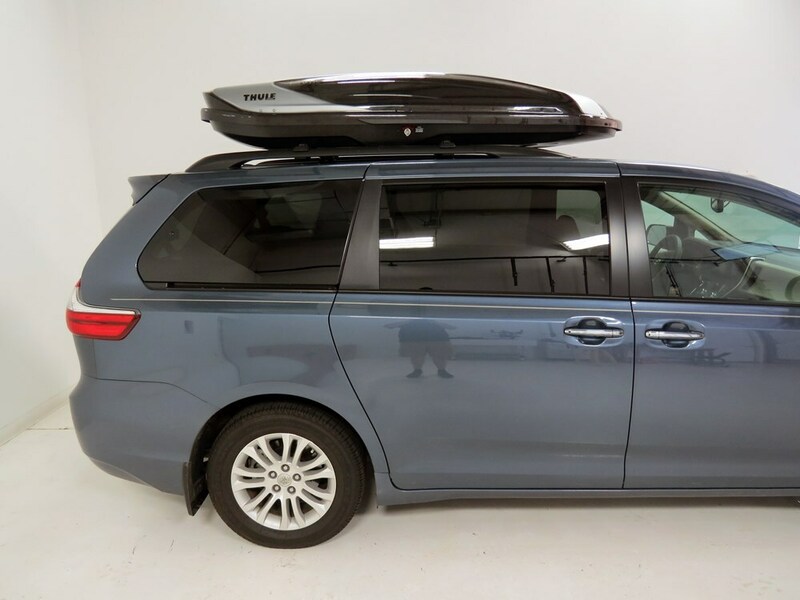 This cargo box has been confirmed as a fit for your 2015 Volkswagen Golf SportWagen if it has a factory roof rack, but if you do need crossbars you would also need the Thule AeroBlade Edge Roof Rack # TH7501B-TH7502B. 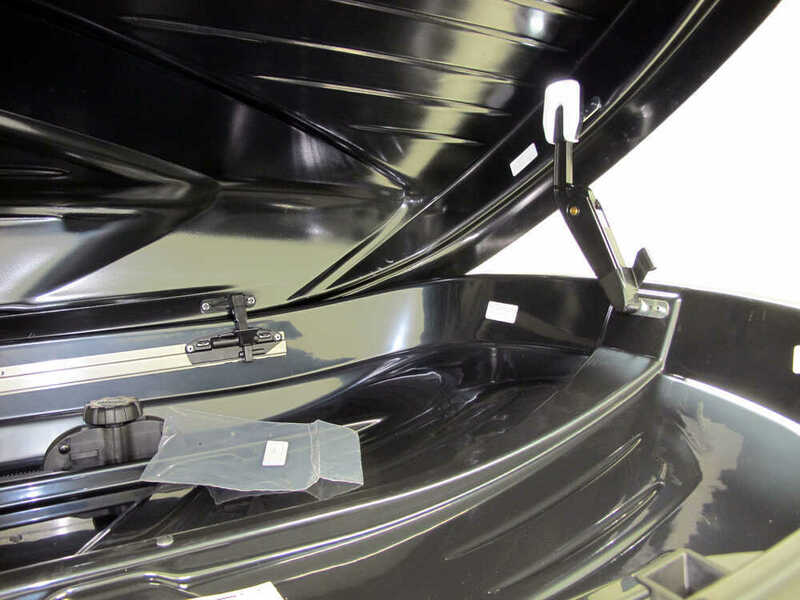 Yes, Thule Replacement Lid Lifter Hinge # TH14936 is the correct part for your Hyper XL Rooftop Cargo Box # TH612. Thule provides excellent spare parts support for its customers; all Thule cargo box replacement parts are shown on the linked page. I spoke with my contact at Thule and she confirmed that replacement hinge # TH14936 will fit the Thule Hyper XL # TH612. 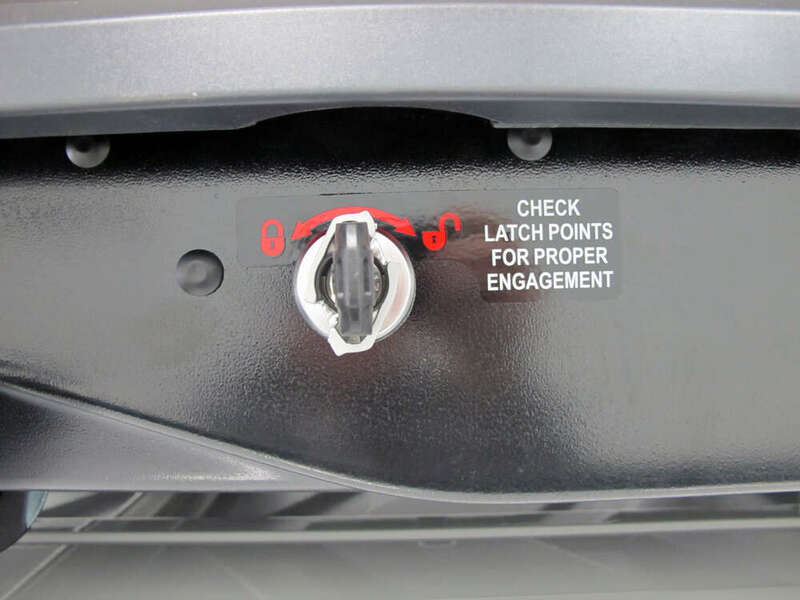 I have included a link to a Video of Replacement Hinge # TH14936 for Thule Cargo Boxes. 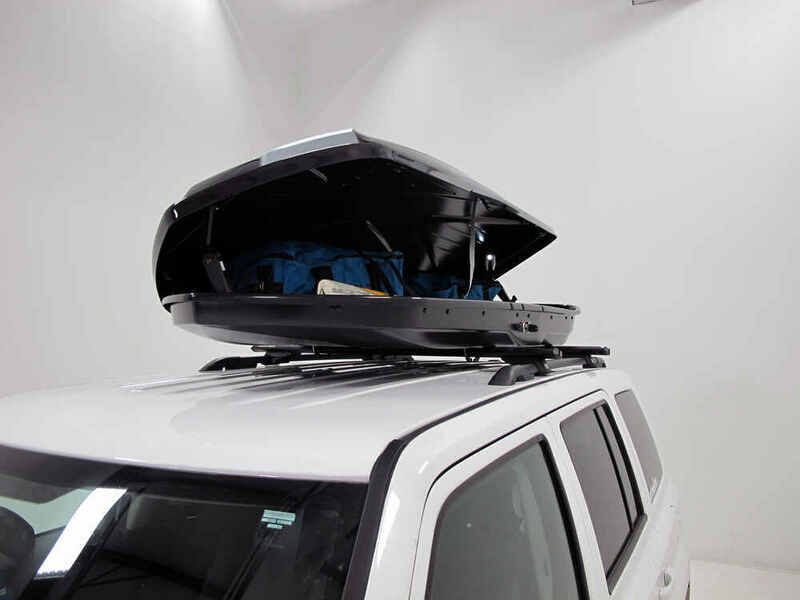 The satellite antenna of your 2015 Jeep Grand Cherokee would not be affected by the installation of a cargo box like the Thule Hyper # TH612. Unless you are carrying something metal at the rear of the box you would not have any problems. I attached a link to the review video that shows the Hyper being demoed plus a link to a page that has all of the demo videos we've done with cargo boxes on your 2015 Jeep Grand Cherokee. You did purchase the correct part # TH14936 The fitting screw should be removable by pulling the screw away from the hinge's bottom connector. You also may be able to force the screw out from the rear with a phillips head screwdriver and a hammer to quickly remove the screw. Yes, the Rhino-Rack Storage Rack For Cargo Boxes # RRRWHL will work fine as a wall-mount storage device for a Thule Hyper XL Cargo Box # TH612. The storage rack's v-shaped arms measure 17-3/4-inches x 13-1/4-inches as shown in the linked image. 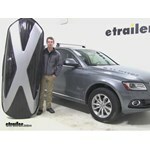 This will work great to hold your Thule box when its removed from your car. The carrier includes a tie-down strap to hold the box in place on the rack.